Do you know what ruins intimate partner relationships? If you are thinking the obvious, cheating, try again. You very well might not guess this one – but you should know it, because it ranks up in the top three reasons couples split, relationships end, and divorce proceedings occur. 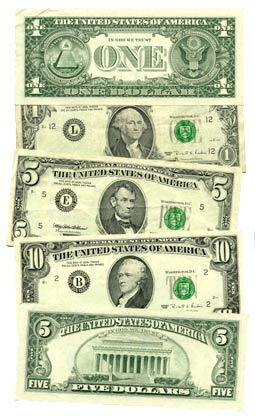 Yup, it is about that pesky almighty green dollar bill. And, researchers tell us it is one of the biggest stressors for middle-aged Americans. Money + relationships = volatile territory. Financial infidelity involves lying to one’s significant other about any aspect of money or finances. Here is the clincher—it may be just as damaging to a couple’s relationship as sexual infidelity. Harris Interactive, Redbook, and Lawyers.com researched this delicate subject and found startling results. Out of the over 1,700 couples studied, twenty four percent believed financial infidelity was worse than sexual infidelity. Twenty-nine percent admitted lying to their partner regarding finances; most often because of excessive spending on personal shopping. And more– twenty five percent reported being lied to by their partner regarding some aspect of their combined financial state. If you do the arithmetic, over fifty four percent of couples lie to each other about their spending habits and earnings. According to studies done by the National Endowment for Financial Education and revealed startling statistics: that at least sixteen percent of marriages in the United States end because of financial deception between the partners in the relationship. Stop going to the financial seminars, buying budgeting software, or visiting the accountant. It’s all ineffective. Instead listen up! 2.) Unconscious motivations to handle money in opposite ways from our parents– that leads to poor dysfunctional financial habits. 3.) Shame and guilt regarding our relation to money and the material possessions that it allows for resulting in compulsive spending and saving cycles. So, if you struggle with spending habits or see your relationship dipping into financial infidelity, the first step towards transformation is recognizing how the past has shaped and influenced beliefs and habits in the present. From this point, real change can occur—and perhaps even save your relationship. Take this lesson away—finances and relationships can be a danger zone. Exercise caution and develop healthy habits.